I am aware that my blog/ site feels a bit too quiet – why some of you text me to ask if I’m still doing pro organizing. 😅 Currently, this version 3 website just hit 10 years old! Definitely in need of some spruce, yeah? Coming! Anyway, if you’re looking for a seasoned pro organizer to help you in your plight of “things gone wild”, please know that I’m here – just steadily and happily creating Spaces that Work with different, wonderful individuals for more than 12 years. So if you’re ready to buckle down and get organized, I’d love to hear from you. Have you ever taken a personality test? Just for fun, take these free tests below and see what you find out about yourself or others. 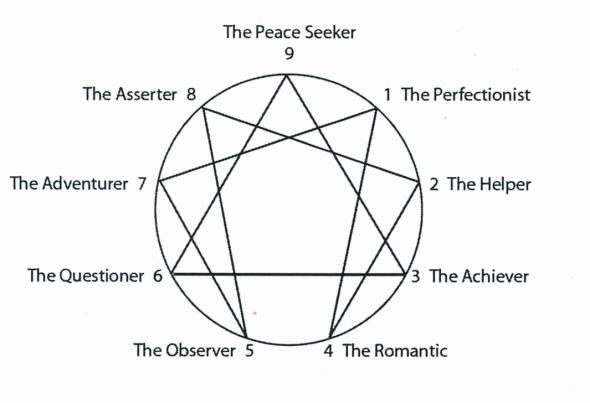 Here’s another interesting find, the Enneagram Test. I came across this just recently and honestly, it blew my mind (though felt a tad peeved – I felt like a robot that came with a manual…). enēəˌgram (noun) – An enneagram is a nine-sided figure used in a particular system of analysis to represent the spectrum of possible personality types. Overall, I think any information that helps us understand ourselves and others better is always a good thing to explore. Doing so can improve the dynamics of any relationship whether it be on a personal or professional level. Yes. I’m a Professional Organizer who help people organize their space and set up easy systems that work for them. Needless to say, being organized is what I “should” be with my own things and space. A couple of months ago, I’ve had it with my useless internet provider and decided to change vendor. I called them up and was told that upon termination of service I would have to return the modem etc. and that was fine by me. 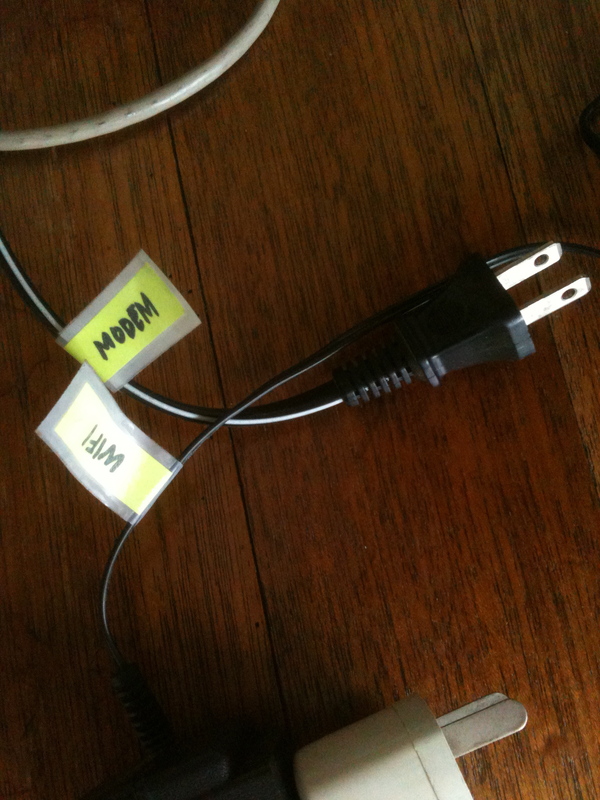 Sort of dreading having to kneel down and insert myself in a tight corner so I can identify which of the multiple cables plugged in my extension cord I had to remove, I did so and was relieved to see that the cables were labeled. It took no time to pluck what I needed to eject from my space and was able to just as quickly grab the other accessories partnered with the modem and the documents it came with 5 years prior. I used a 3M Post-It Page Marker strip for the label and sandwiched it with Magic Tape. 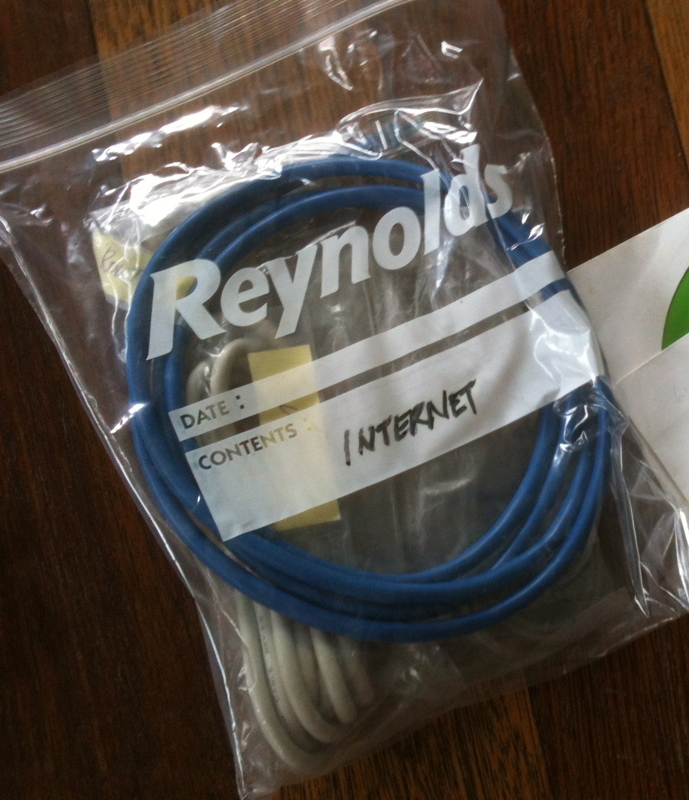 For some reason, I was amazed that I was able to pack the items for return quite fast because I had forgotten that I did that – the part where I took the time to place the accessories in a re-sealable bag and labeled it or parked them in the gadget accessories box or tagged the different cables plugged in my extension cord or filed the related documents. I did those some years ago… Now, it was literally pluck, grab, shove in a plastic bag and good riddance! kinda vibe. I was ready to throw them shot put style where it came from. Grar. Another time, I couldn’t find something and really – it’s kind of impossible to be in this profession and lose something because everything I have has a proper place – supposedly. But I was getting frustrated and couldn’t believe I couldn’t locate the item! Where was it?!! Then I went to check where I would keep it and it was right there! I was like, “Hello?!!! Of course, it’s where I would put it back!” I had forgotten I actually put the item back in its home – it was so automatic that I didn’t even remember I did that. Ageing? So, for all of us who have a lot of things to do and think about, taking a pause, investing a few minutes to choose a proper place for things, labeling that container and putting items back in its home after use, helps us locate items quickly even when years have passed and we’ve forgotten all about them. Tip: From here on, make it a practice to tag cables of new gadgets (or anything that came with a cable) and its accompanying accessories so parts are permanently identified. However you decide to do this, do keep it simple. You are currently browsing the Snippets category at Space That Works.